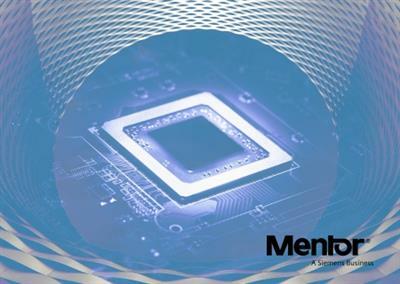 Mentor, a Siemens business, has unveiled ModelSim 10.6e, is unified debug and simulation environment gives today’s FPGA designers advanced capabilities in a productive work environment. – [nodvtid] – (source) An issue with incorrect precedence in the &&& and "matches" operations in SV has been fixed. This may cause SV HDL code to be compiled differently than with previous versions. Any differences will be flagged by the compiler with an error. – dvt110034 – (source, results) Added a SV extension vlog/vopt -svext=[+-]ifslvbefr to allow solve/before constraint within an IfElse constraint with constant condition. By default, this extension is on and no compile-time check is triggered. vlog/vopt -pedanticerrors or -svext=-ifslvbefr will revert back to the legacy behavior. A compile error (vlog-2919) will be thrown if solve/before constraint is under an IfElse constraint. When the condition expression of IfElse constraint is NOT constant, a new runtime error (vsim-16056) will be thrown, i.e. – dvt110375 – (results) In some cases simulation result differ between optimized and unoptimized cells with optimize cells selecting the wrong path delay when negative timing checks are present. – dvt94468 – (results) When using vsim -batch mode, the transcript (stdout) output could contain NUL and CR characters that are otherwise filtered out when using other vsim modes. The transcript output in -batch mode now matches the output when using -c or -i modes in this regard. – The -novopt switch will be accepted in 10.7 with a deprecation suppressible error message. – In 10.8 or a subsequent release, the -novopt switch will not be accepted by the tool and cause tool to exit with error message. – Customer scripts using this switch will have to be changed. This legacy switch forces incremental mode (pre-6.0 behavior) which is sub-optimal, and it is no longer maintained. – dvt84893 – The simulation timescale is incorrect in some circumstances when running in -batch mode. – dvt108473 – From the Message Viewer, when opening the source file referenced in a message, if the file cannot be found, a dialog box will pop up, requesting the user to select the location of the file. – dvt106889 – "vmap" fails silently when there is a leftover lock file. Now it will report a warning 5 times, 5 seconds apart, before giving up and returning an error status. – dvt109082 – Repaired GUI crash when associative arrays are present in automatic functions. – dvt109387 – The Coverage HTML Report dialog box sometimes fails with an "# ** Error: (vsim-4003) Invalid option ‘-code ‘." message. This issue has been repaired. – dvt109672 – The vsim GUI crashes when displaying certain comments in VHDL source code. This issue has been resolved. – dvt107650 – Reference to a package constant defined within a package instance that is itself defined within a simple package could cause the compiler to produce an internal error. – dvt108324 – The compiler could crash when encountering a composite assignment, where the left-hand side contains a variable whose type is an interface type. – dvt109476 – The vcom compiler "-just" and "-skip" options now allow the specification ‘x’, which means VHDL 2008 "context" declarations. – dvt109197 – Added PrefWave(LineWidth) preference define the width of waveform lines. The default is ‘1’. Defining larger widths are useful for high density monitors where a single pixel wide line is too narrow to see clearly.